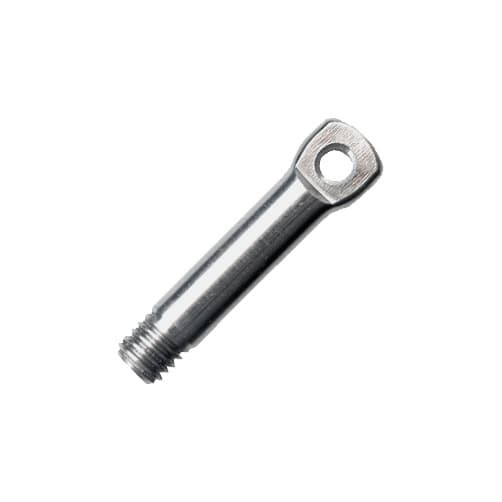 Twist shackles with standard screw pins are forged by electrical upset methods here in the UK from A4-AISI 316 grade stainless steel, provides a 90 degree change in direction, ideal for reducing twists and kinks on rigging. 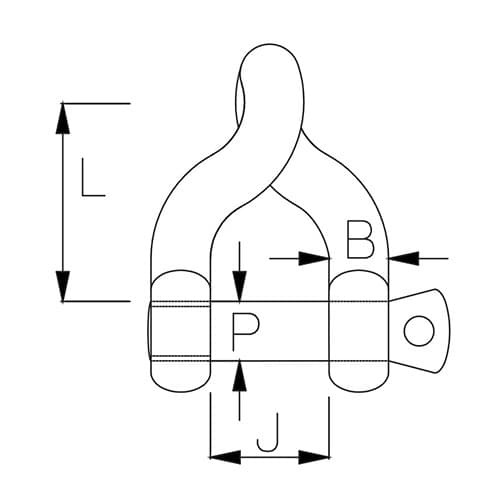 Stainless steel twist shackles are forged with a 90-degree twist so the two attachment points can be perpendicular without torquing, the threaded screw pin can be removed to allow easy attachment. Twist shackles available in a wide range of sizes from 4mm to 19mm, all shackles are finished to the highest of standards with a highly polished finish. 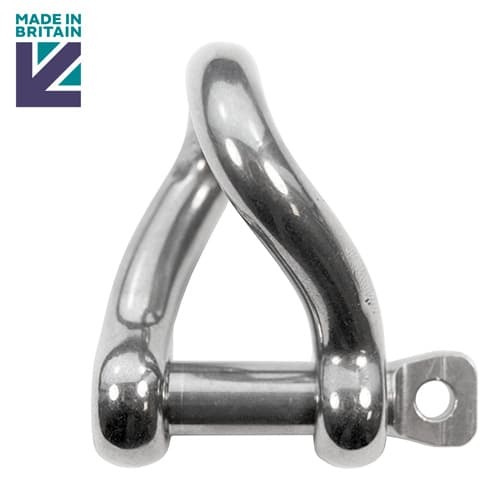 This high quality stainless steel twist shackle with standard pin is manufactured here in the UK. As it says on the tin, perfect for conecting the edelrid eddy as an embedded brake into a pulley system.